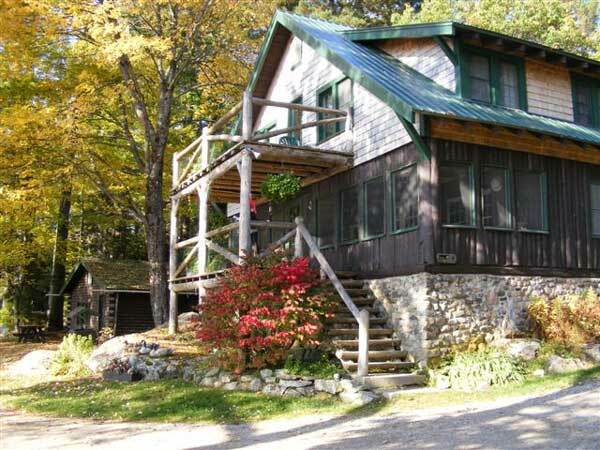 Each season at the all season lodge is a unique adventure of its own. While year-round we enjoy the outdoor recreation and solitude, some activities are better in certain months. Here's a snapshot of what's available throughout the seasons of the year. A time of renewal and rejuvenation, the trees and flowers, birds and wildlife are waking up. Salmon and Trout fishing are a popular way to get ready for summer. Kayak, ATV, Family Recreation. 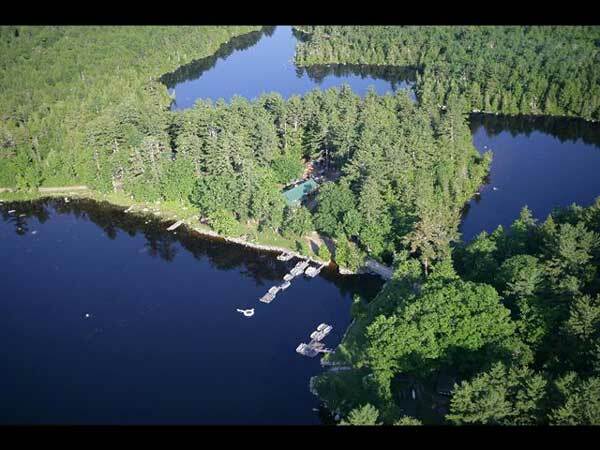 The fishing is now in full swing with Bass and Brook Trout, Salmon, Perch and Pickerel keeping fishing enthusiasts on their toes. 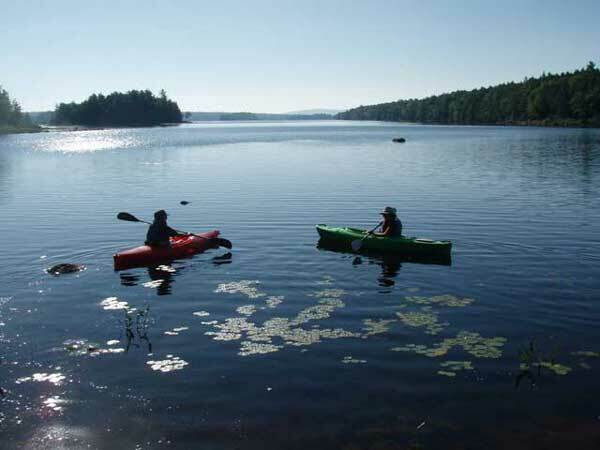 Swim, canoe, relax in the sun and explore the many miles of wooded trails on foot or by bike. 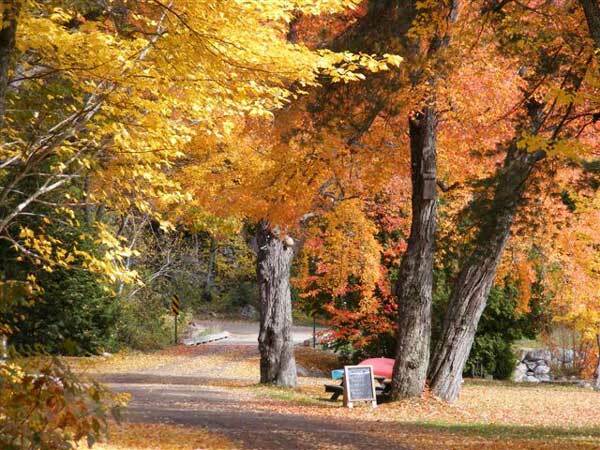 Spectacular foliage and breathtaking views. Colors are brilliant, crisp, clean and wonderful for the amateur or professional photographer. The cooler temperatures also make for great hiking and biking weather. There is still plenty of fishing, and hunting season begins. The coziest time of the year. While many other camps have closed down in winter, we welcome visitors for miles of groomed snowmobiling, ice-fishing, cross-country skiing and snowshoeing. It's a winter wonderland. We provide facilities for Groups and Special Functions, Family Reunions, Church Revivals, State Meetings, Corporate Gatherings and Lakeside Barbeques. Available options are virtually endless. We can accommodate up to 50 inside. No limit outside. 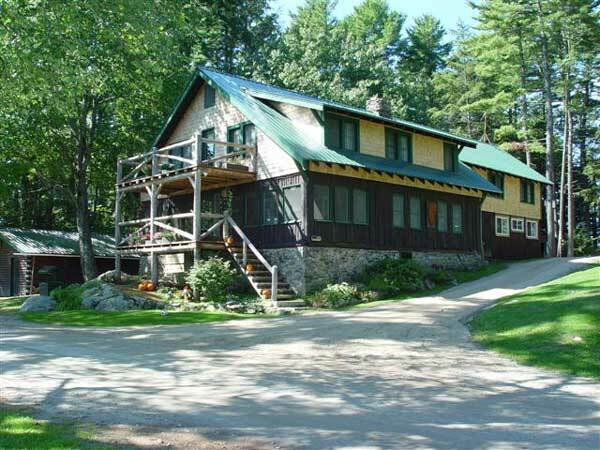 Mountain bike, hike, cross country ski, snowshoe, snowmobile, or four-wheel the endless logging roads right from your cabin. Canoe or kayak on the lake or stream. 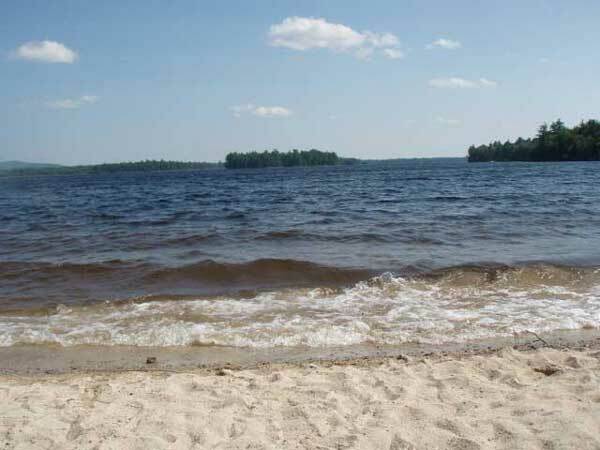 Take a boat ride to one of our sandy beaches, pack a lunch and spend the day. 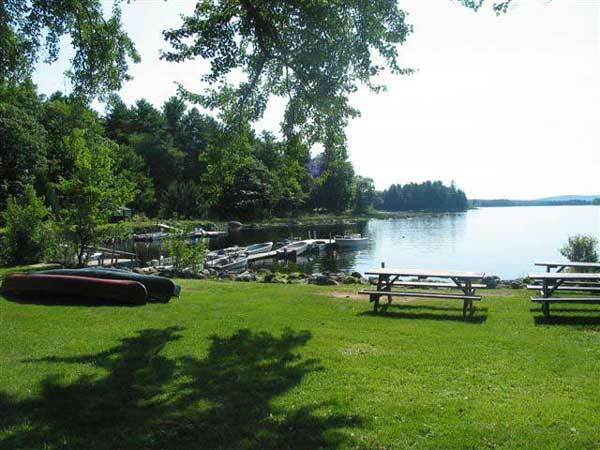 Try your luck at horseshoes, go for a swim, sunbathe on the dock. Try bird watching from the garden. 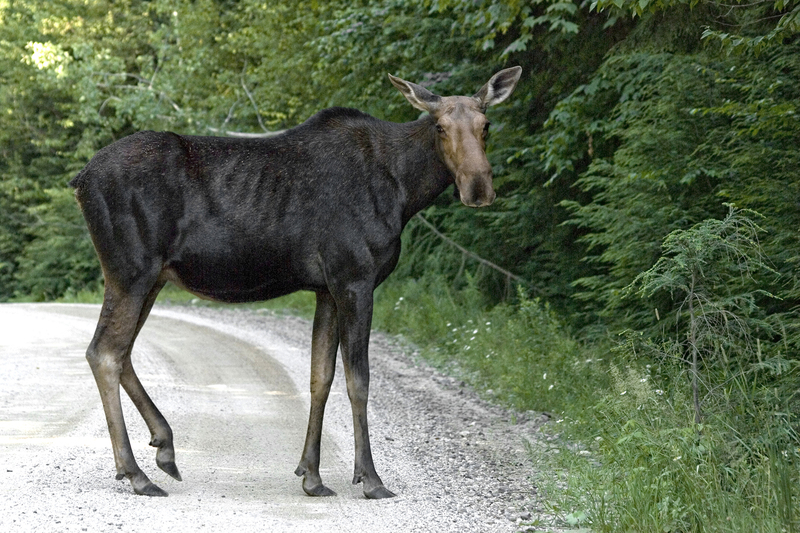 Take a walk, you never know what you may find, but don't forget your camera, you may have the opportunity to photograph a moose, nesting bald eagle, or river otter, just to mention some of the wildlife in this remote area. 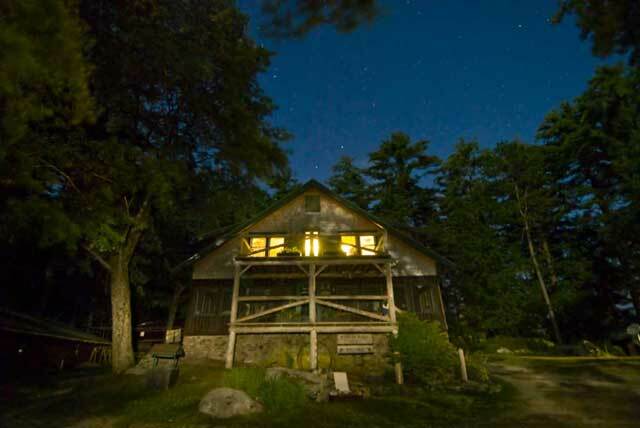 Nicatous Lodge and Cabins offers an All Season Outdoor Playground to the Nature Lover. 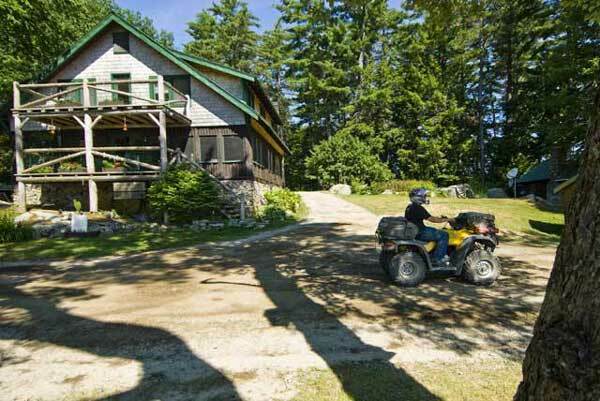 ATV clubs and snowmobilers making day trips to Nicatous enjoy overnight accommodations here. If you or someone in your family has a 4-wheeler or snowmobile, bring it along! Gasoline is available at our pumps. Once you go over the bridge you can ride miles of trails and loops right back to Nicatous Lodge. We are ride in/ride out accessible. After your ride, jump into the lake to cool off! We are on ITS 81/84 ride in/ride out access. 14 foot aluminum boats with 8-horsepower motors $55.00 per day. Advanced reservations required. 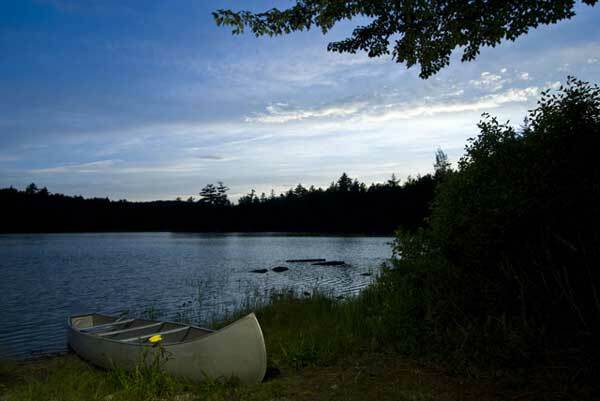 Free use of our canoes & 2 seated kayak with cabin rentals.